Honestly, This is All of Us When We Eat Cake. | The girl who loved to write about life. 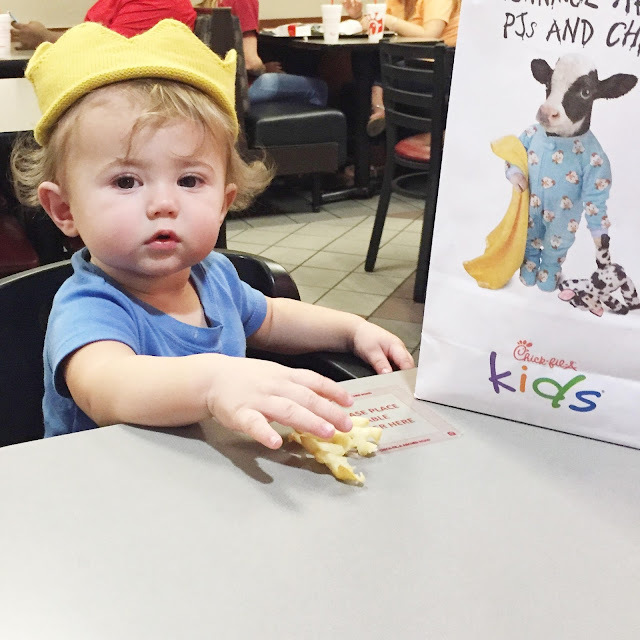 C R A Z Y T O W N. Anyway, we celebrated in the only way that anyone can ever hope to celebrate their birthday, meaning that he ate Chick-Fil-A while wearing a crown. Coincidentally, I know now how I wish to celebrate my next birthday. I waited too long to order a birthday crown off of Etsy but lucked out and found this one (affiliate link) on Amazon. It was $7 and I was a little worried but it got here in 2 days and looked adorable. He got his first kid's meal and loved it (duh). 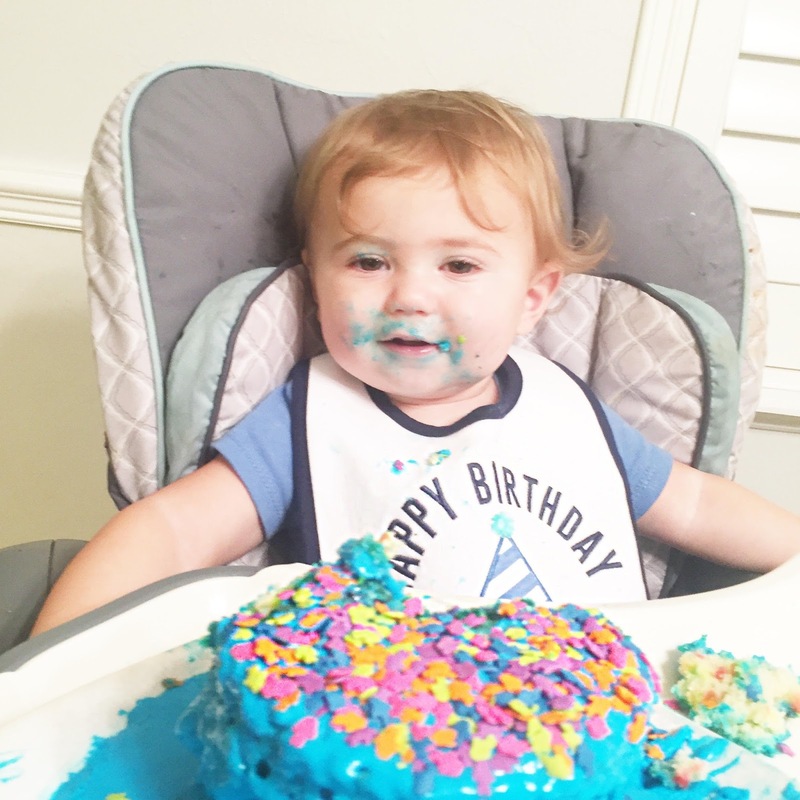 But most importantly, he had cake for the first time. 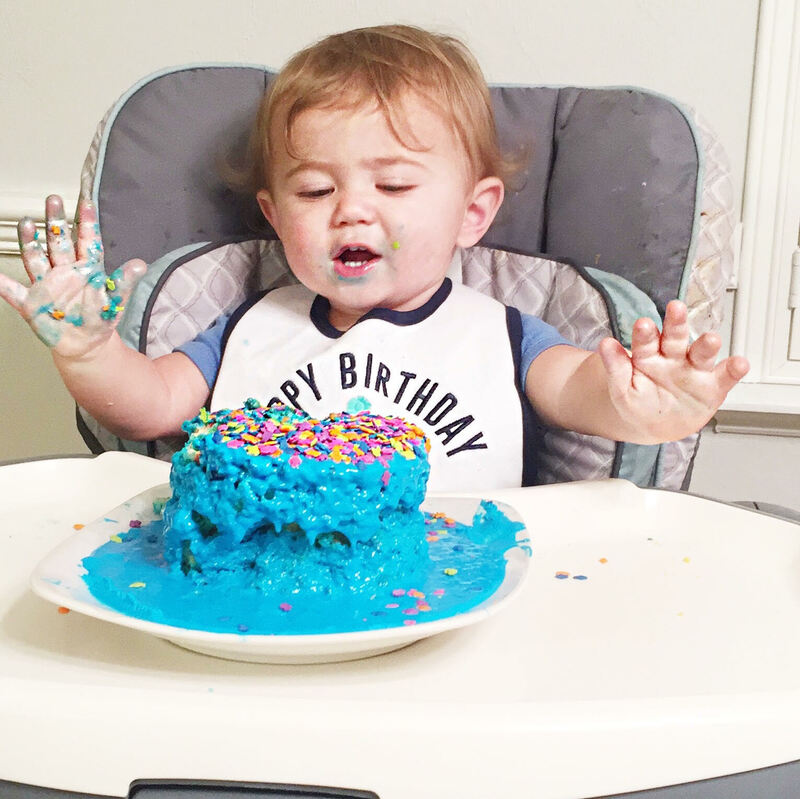 Now, while I expected him having cake for the first time to be exciting for me, I expected it to go one of two ways: 1) Him not care one single bit, or 2) Him freak the heckkkkkk out. 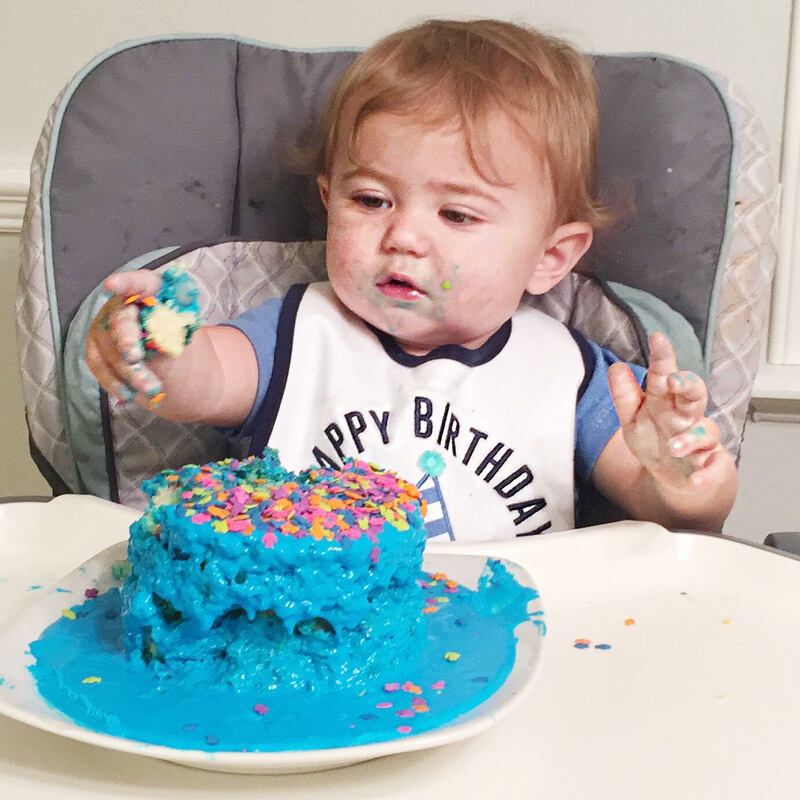 The second is probably because when my little brother turned one, he stuck his hand in his blue icing and screamed bloody murder when he saw that his hand had suspiciously turned blue. 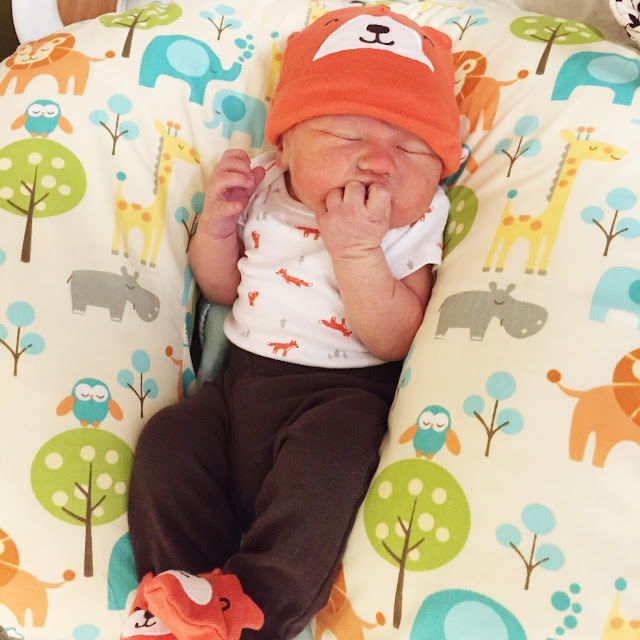 What I did not expect, however, was for him to freaking love it. PS: Let us not discuss the appearance of the actual cake, or the fact that when I put icing on it, it literally melted the cake. Moving on. 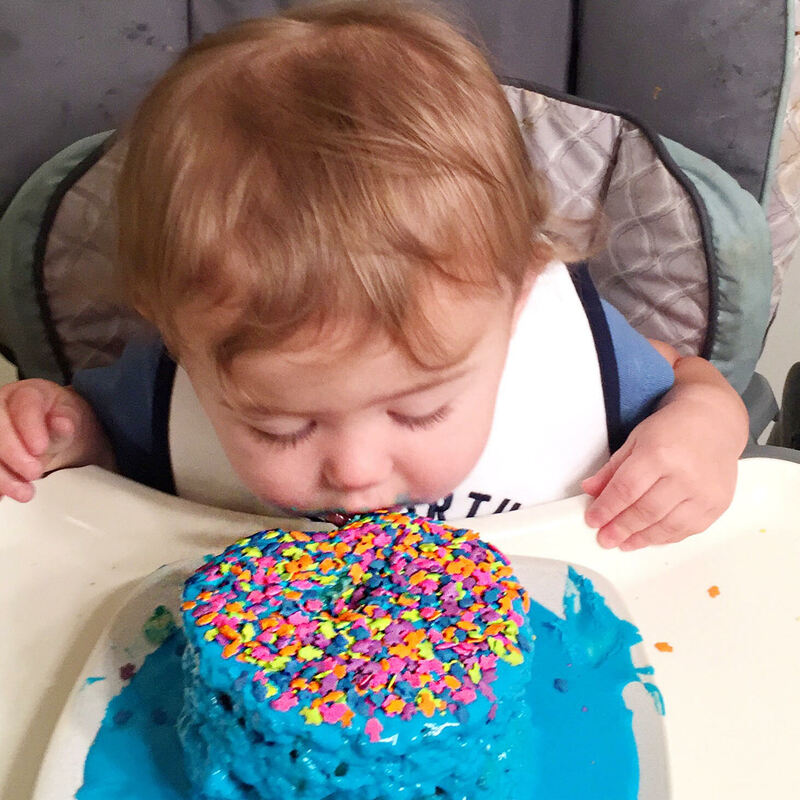 And if we're being honest, isn't that face kind of all of us when we're eating cake? Or brunch. Or pizza. Happy Monday, friends. I hope your day is wonderful and includes something that makes you as happy as cake makes Jack.